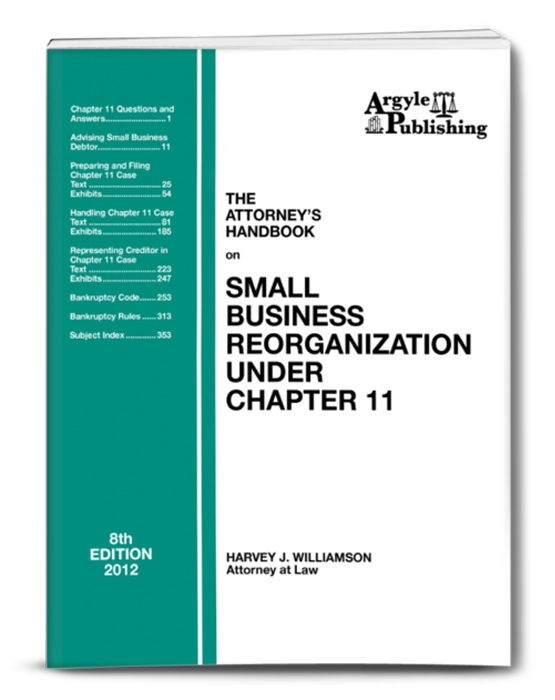 Just Released – Attorney’s Handbook on Small Business Reorganization Under Chapter 11 (September 2012). This completely revised handbook contains everything an attorney needs to know to successfully prosecute a Chapter 11 bankruptcy case. It contains commentary and instructions on the preparation, filing and handling of small business cases under Chapter 11 of the Bankruptcy Code. It covers the filing and handling of Chapter 11 cases for small businesses and individuals in any state or district. Ideal for attorneys with all levels of familiarity with Chapter 11, from attorneys who may not be familiar with Chapter 11 practice, to experienced attorneys. This handbook has helped more than 10,000 attorneys expand and perfect their practice nationwide. All completely revised for 2012. Purchase today.